Although there are lots of facts and figures based research reports available, predicting and analyzing what the dawns of coming years look like for our industry. These reports can be pinpointed accurate in their forecasts, but what our colleagues working in the industry think can differ, totally based on personal opinions. So, to get a feedback of our friends an online survey was conducted and circulated at different social media forums. 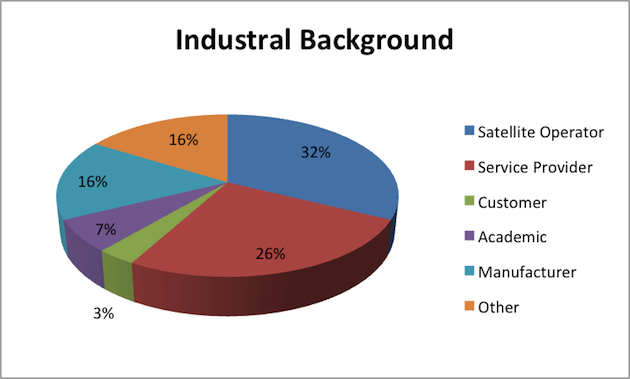 Response, like any survey in any given industry, was a mix of different opinions giving the results a mosaic outlook. Let us take a look at different questions and their responses. Recently announced LEO constellations, backed by Tech-Giants and corporations, are making rounds in mainstream and social media. Response to the question; whether these constellations will be successful in achieving their goals, were somewhat predictable as majority of the professionals believe in successful outcome. However, a considerable strength was not sure about the success at the moment. The question; whether the announced LEO constellations will pose some challenge to existing GEO networks, met with a mixed response. 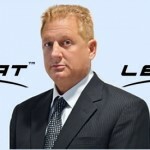 There was comment made by a responder worth discussing; I believe that LEO and GEO satellite will be complementary technologies and not competing technologies. There will be a market best served by each and the new capacity will be taken by increased and varied services. “Not sharing the pie but growing the pie”. 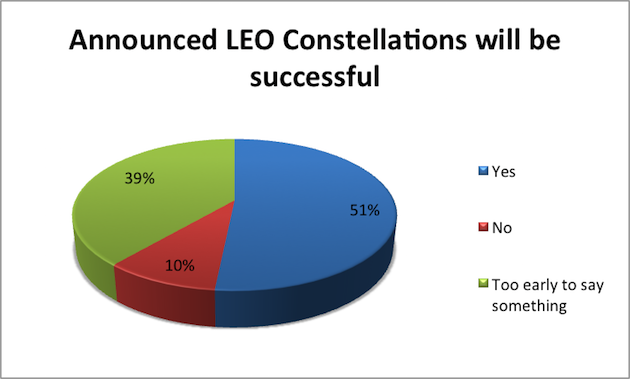 Outcome of the survey was different as a slight majority of the professionals in our industry consider LEO constellations will be a challenge to existing GEO Networks. 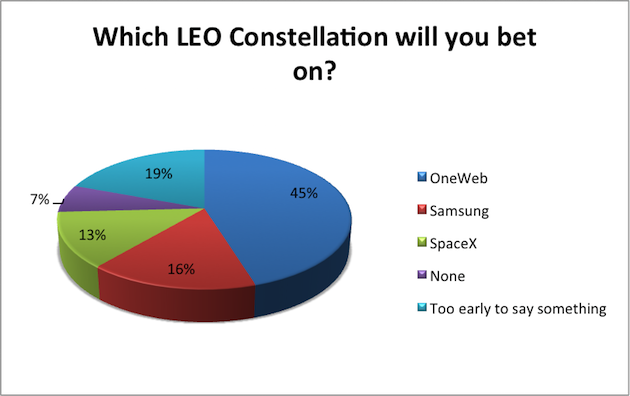 When asked which LEO constellation will you bet on, majority of the respondents went for Virgin and Qualcomm backed OneWeb. 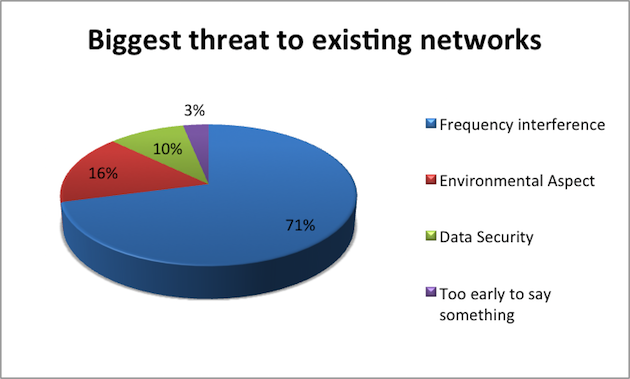 More than 2/3rd of the participants considered ‘Frequency Interference’ as possibility the biggest threat to existing satellite networks by the announced LEO constellations. Surprisingly, environmental aspects including ‘Space Debris’ created by almost ten thousand satellites and radiation impact on health and environment by high powered Ku and Ka band transmission didn’t get considerable response. 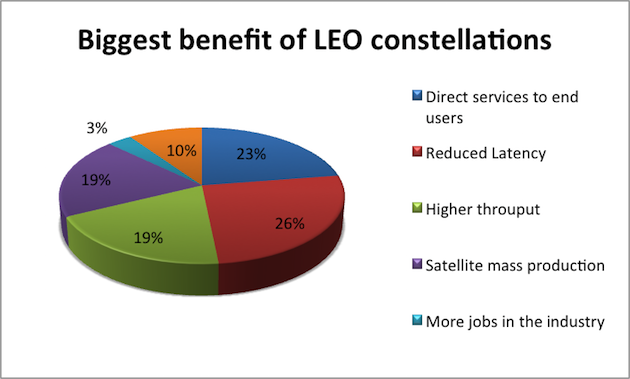 Upcoming LEO constellations definitely have commercial as well as technical benefits. Our colleagues have shown that most all of the discussed benefits are equally important. Apart from their announced aerial networks of hot air balloons (Project Loon) and drones (Project Aquila) Google and Facebook have already stepped in our industry. Samsung is considering its own independent constellation and Qualcomm is backing OneWeb. There are still technology firms that haven’t considered going extraterrestrial. 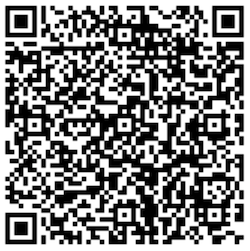 Participants of the survey look forward to welcoming new players in the industry. Medium Earth Orbit (MEO) is also an important orbit for satellite communication. 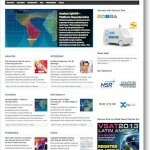 However, other than O3b there isn’t any news going around regarding the orbit. 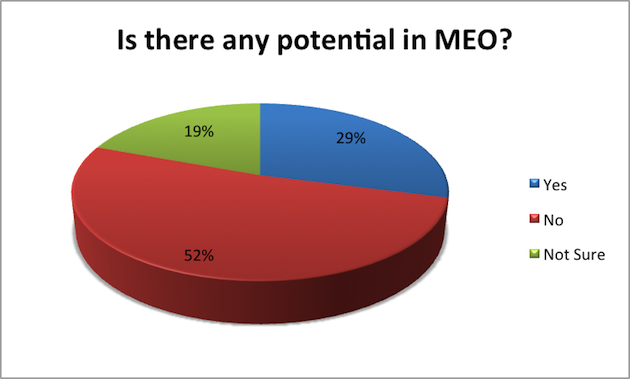 Respondents of the survey do not foresee any potential in the MEO. 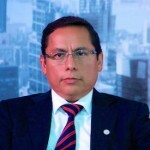 Like SES is backing O3b and Intelsat has invested a small stake in OneWeb, there is a possibility of GEO satellite operators supporting the upcoming constellations. 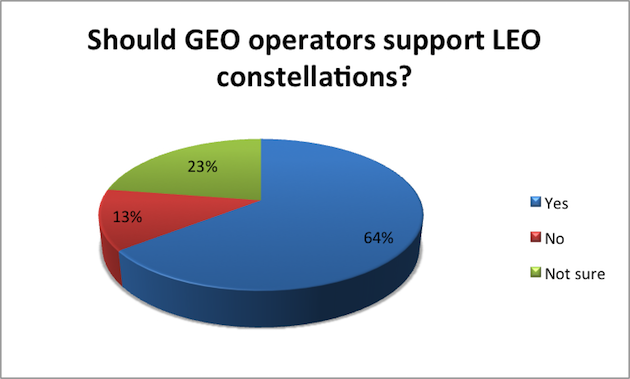 Majority of the survey suggests GEO operators to back the upcoming LEO constellations. If successful, will the LEO networks be the downfall of GEO networks? 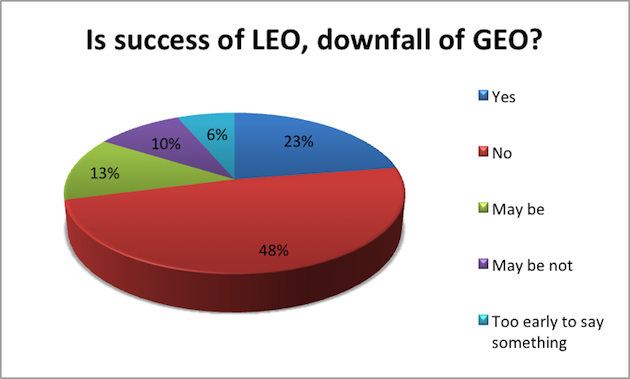 Majority of the survey doesn’t consider the success of LEO networks an apocalypse for GEO networks. 10. 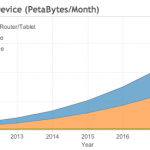 Are GEO networks capable to handle increased data demand? Although we have witnessed innovation in GEO satellites by induction of High Throughput Satellites but at terrestrial level, introduction of IoT (Internet of Things), IoE (Internet of Everything), Cloud Computing and Big Data have highly increased the demand of data. 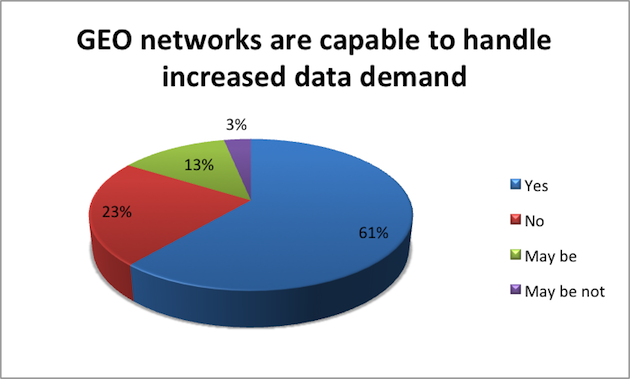 Majority of the survey suggests existing GEO networks are capable to handle increased data demand. 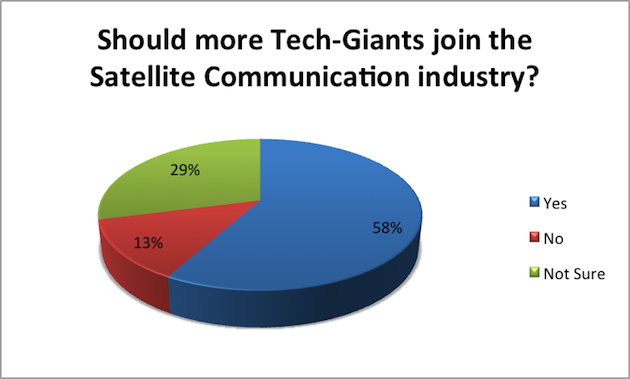 Facebook collaborating with Eutelsat to provide internet access to African continent is a big news for GEO operators and majority of the survey consider it to be an encouraging news for GEO operators. 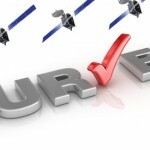 Most of the participants of the survey were from Satellite Operator and Service Provider background.